One of the biggest differences between English and Italian is the imperfetto tense. It also happens to be one of the most fun (and useful!) aspects of Italian to use in writing and conversation. It’s an important tense because it’s used for for describing things that happened on a regular basis for a duration of time in the past – essential for storytelling and quality conversation! 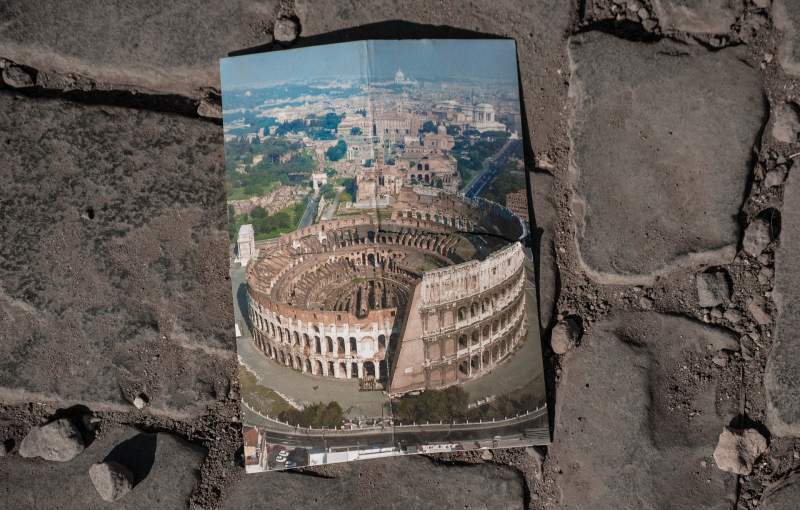 Some English-speakers who decide to learn Italian are a little intimidated by the imperfect tense, simply because it doesn’t have an equivalent in our native tongue. The most similar phrasing we have in English is the term “used to,” but it is not a direct translation. So it’s natural to feel a bit lost! 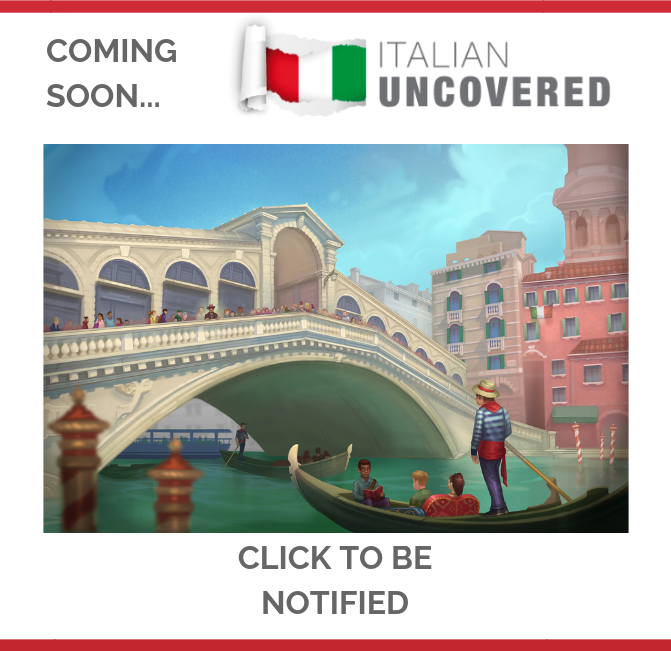 Nonetheless the Italian imperfect is nothing to fear! Its rules are actually pretty straightforward, and once you learn them, you’ll master this form in no time. Whats With All The Different Past Tenses In Italian?! So, what exactly is the Imperfetto tense? And what makes it different from all the other past tenses in Italian? An important first step in learning any tense in a language is figuring out what exactly it is used for and when. You need to have an understanding of how it will serve you when you are speaking and the situations you’ll use it in before you start diving into lists of grammar rules and exercises! 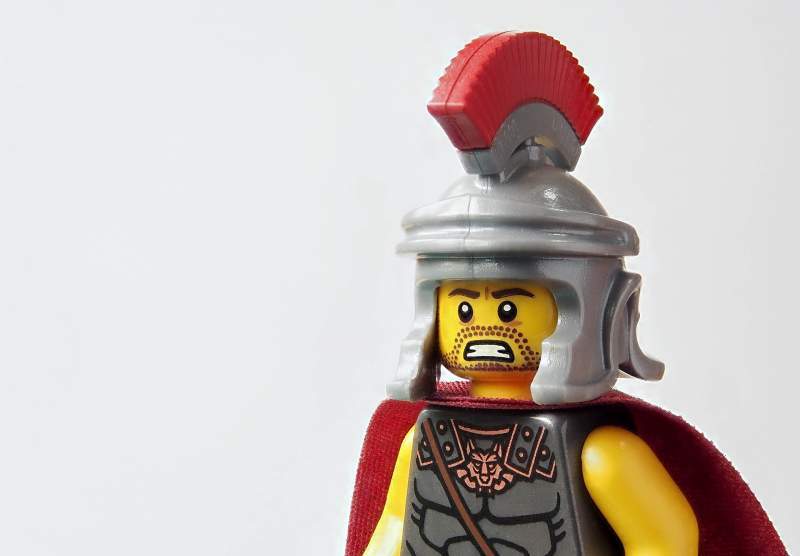 When you’re first learning a language that, like Italian, has several different versions of the past tense, it can be easy to get them mixed up. It’s not just Italian learners who suffer from this problem. It’s a common issue for Spanish and French students too. This is a common mistake, and most of the time native Italian speakers will still understand what you’re trying to communicate if you fall in this hole. However, carefully studying the differences between the tenses will help you communicate more clearly and specifically! The imperfetto is one of the two main past tenses in Italian, the other being the perfect past tense or passato prossimo. Passato prossimo is the most basic past tense, used to talk about things that happened, from start to finish, in the past. Most people choose to learn the passato prossimo first and the imperfetto second. The past subjunctive, which is used for hypotheticals, and the remote past tense (or passato remoto) which replaces passato prossimo in many works of literature. 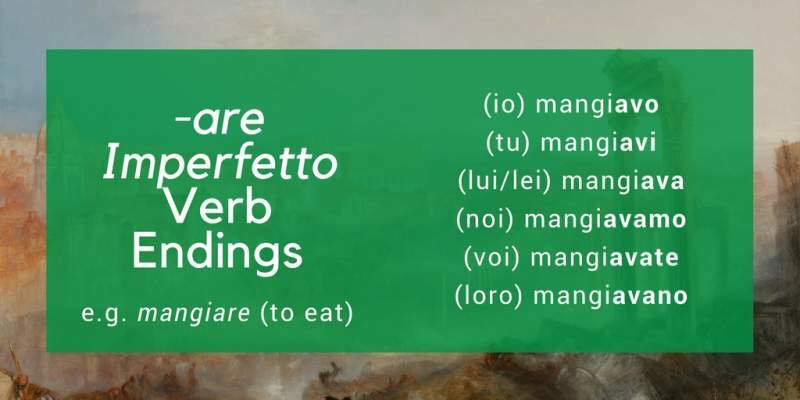 Of all of these Italian past tenses, the imperfetto is the second most frequently used. This particular tense is one you will find yourself using way more than you would ever imagine. 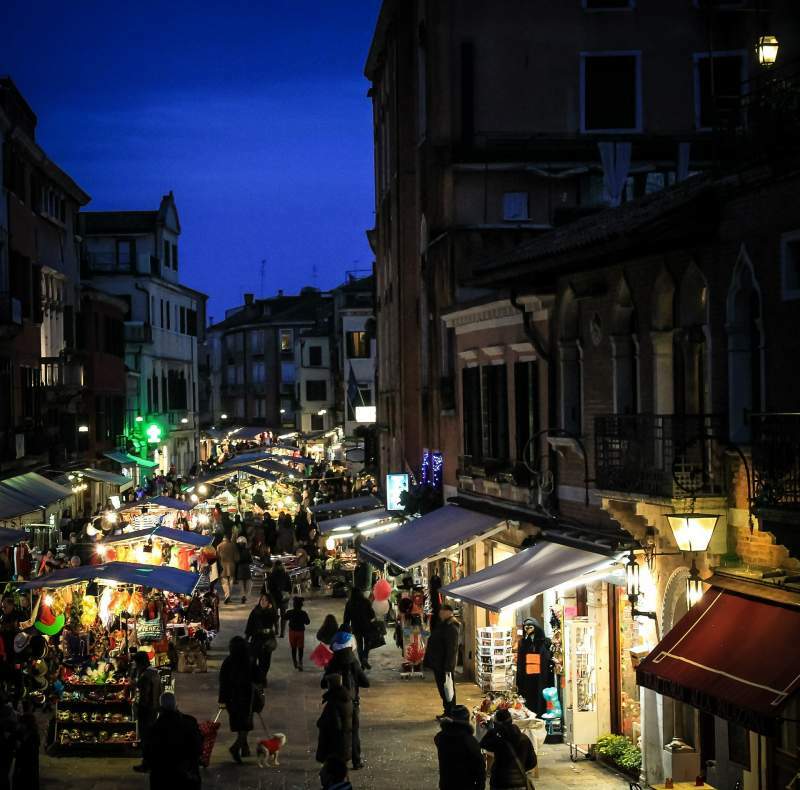 (Note: For a full rundown on the basic principles of Italian verb conjugation, check out this article). 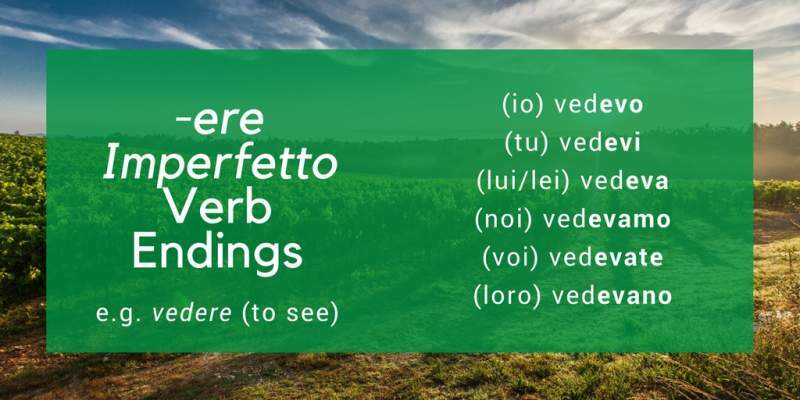 Ok, so let’s take a look at an example of each of the different verb types conjugated in the imperfetto. As you can see, once you learn one set of endings, it will be quite easy to learn the subsequent two because they all follow a similar pattern. The only letter that changes in the imperfetto tense conjugation is the letter before the ‘v’ and it is always the same as the ‘a’, ‘e’, or ‘i’ in the infinitive. 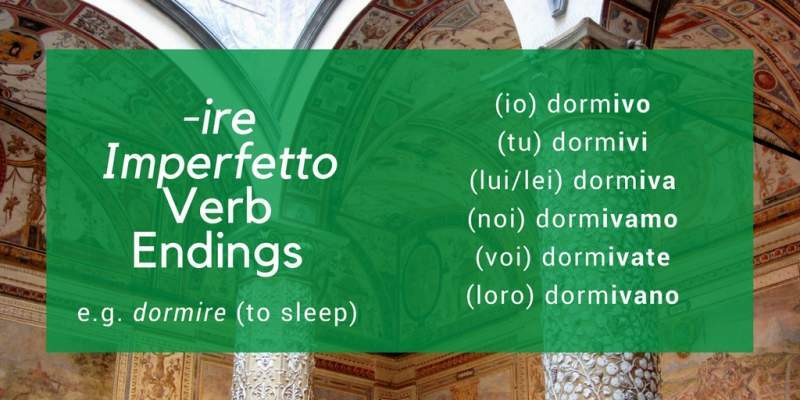 An extra bonus of the imperfetto is that the verbs are really fun to say! Try it now and you’ll see what I mean. They kind of roll off the tongue with a musicality that is quintessentially Italian. It’s not hard to see why so many people have such deep love and respect for the Italian language when you hear the sound of this tense. So now that you know there are lots of different past tenses in Italian, you need to learn when to use each one. The imperfetto is most commonly used for events that happened continuously in the past on a regular basis (kind of like “used to” in English). Quando ero un bambino in Italia, mangiavo la pasta tutti i giorni. – When I was a kid in Italy, I used to eat pasta every day! Since the action in this example happened continually in the past, we express it with the imperfetto. As you can see, that’s a lot of usages! As mentioned earlier, it’s hard to draw a direct parallel from any English form to the Italian imperfect tense. In English, we often use the simple past tense for sentences that would be translated into Italian using the imperfect. In English, we would rely on context clues to gather the habitual nature and time frame of the action, but in Italian it must be expressed in the verb conjugation. So know you know when to use the imperfetto, but what about the the passato prossimo? The passato prossimo in Italian is used to describe the more recent past, or to talk things that happened only once in the past. Despite the relative simplicity of the imperfect tense in Italian, you might still get tripped up by certain things at first. Don’t worry – that’s totally okay and a normal part of learning a new language! Developing a feel for which Italian past tense to use in a sentence will take time. It’s not something you can simply learn by memorising rules, rather it requires you to spend lots of time with the language until you develop an innate understanding for the correct form to use. The best way to speed up this process is to read and listen to Italian… a lot! The more you do so, the more natural this and other Italian grammar structures will become for you. The vast majority of verbs follow the conjugation rules we looked at above, but there are a few that are irregular. Fortunately, they tend to be the same verbs that are also irregular in other tenses, so they're easy to spot. Of course, these are some of the most commonly used verbs and you will need them often. I recommend committing their conjugations to memory as early on in the process as possible and then paying special attention whenever you see or hear them pop up in your Italian conversations. Lots of people get tripped up on which syllable to stress in Italian imperfect verbs, but don’t worry – it’s actually pretty straightforward! You should almost always stress the second to last syllable on imperfetto verb conjugations. The one exception to this is for the loro (they) form. For those, you stress the third from the last syllable. For example, “They used to go” would be andavano. This might sound a bit weird to you at first but this rhythm will come to feel quite natural with a bit of practice. 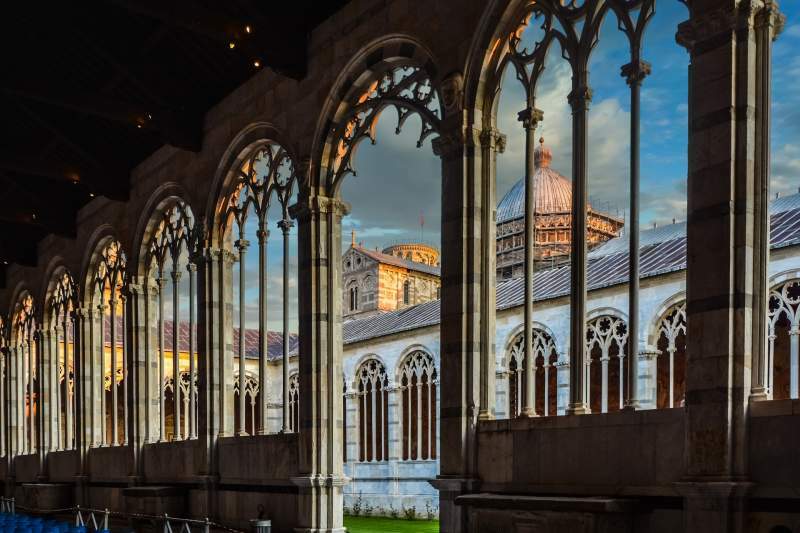 As you've probably been discovered by now, Italian pronunciation is relatively straightforward and the imperfetto verbs are no different once you get used to them. If you study hard, practice frequently, and keep these tips in mind, you will have a solid grip of the Italian imperfect tense in no time. Of course, the real challenge with the Italian imperfetto tense is not the conjugations themselves but knowing when to use it. That’s why the best way to practice is through lots of reading and listening. The more you can expose yourself to the Italian past tenses and notice the difference in context between when each one is used, the faster you’ll develop a natural intuition for which one you need to use in any given situation. With this skill, you’ll unlock so many new ways of expressing yourself in Italian and you’ll sound far more natural when you speak. You’ll be able to confidently share stories about things that have happened to you and to others in the past, making for more meaningful conversations and stronger connections. The imperfetto is an essential element of storytelling and conversation in Italian. Mastering this tense will enable you to express yourself more clearly and eloquently… and have fun while doing so! 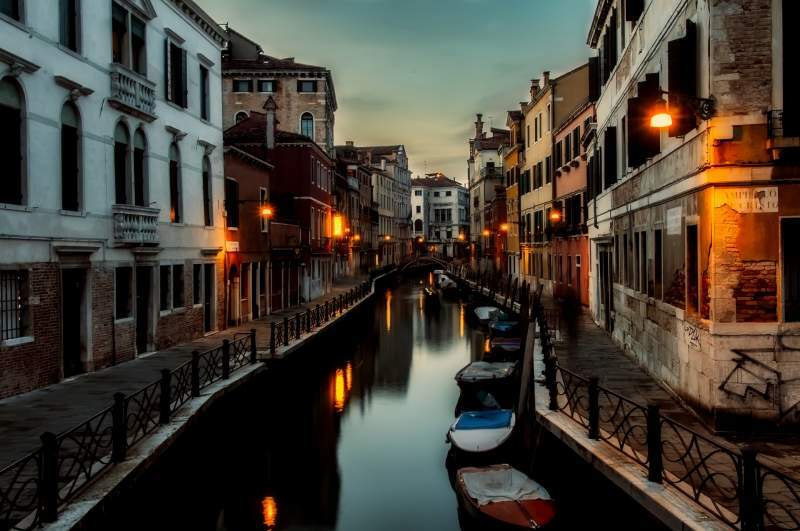 So, how are you feeling about the Italian imperfect tense after reading this post? Let me know in the comments!